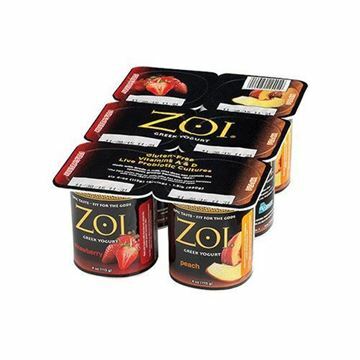 Rich in calcium, protein and probiotics, yogurt is a great snack or a healthy complement to any meal. Ellenos Lemon Curd Greek Yogurt - 8 oz. Zesty lemon curd mixes beautifully with rich Greek yogurt. Ellenos Marionberry Greek Yogurt - 8 oz. Sweet marionberries swirled with velvety Greek yogurt. Ellenos Lemon Curd Greek Yogurt - 16 oz. Velvety Greek yogurt that's swirled with zesty lemon curd. Ellenos Natural Unsweetened Greek Yogurt - 16 oz. Rich, creamy Greek yogurt made with a traditional family recipe. Ellenos Marionberry Greek Yogurt - 16 oz. Sweet-tart marionberries swirled with creamy Greek yogurt. Ellenos Nutty Fruity Muesli Yogurt – 8 oz. Rich, unsweetened Greek yogurt topped with hearty muesli. Greek Gods Honey Greek Yogurt - 6 oz. Creamy and indulgent Greek yogurt blended with honey. 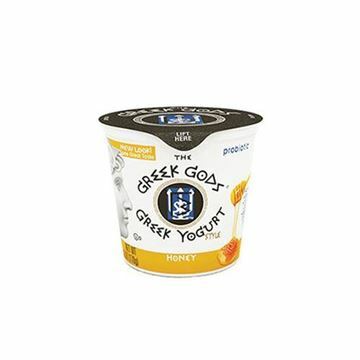 Greek Gods Honey Greek Yogurt - 24 oz. Thick Greek yogurt sweetened with honey.